After a long night of work, I got through the next day, but I couldn't stop thinking about getting back to the site. but I can't get a date off of it - it's pretty crusty. 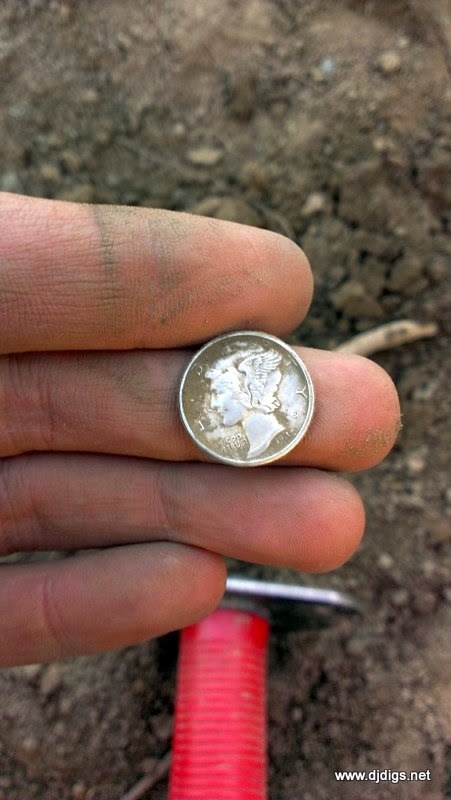 It was a 1942 mercury dime. I noticed that Anthony's father was watching me, so I stopped and formally introduced myself. He said, "I don't care if you find a gold coin, a million dollars, whatever... you keep it. But I'm gonna tell you right now, I lost a quarter yesterday and I want it back." I laughed - I thought it was funny. We talked for a few minutes about the hobby and I could tell that he was a very interesting man. Again, he told me to enjoy myself and that he hoped I found something worth keeping. He's a genuinely nice guy. Someone I'd like to form a friendship with. He told me to get back to it, he didn't want to hold me up. 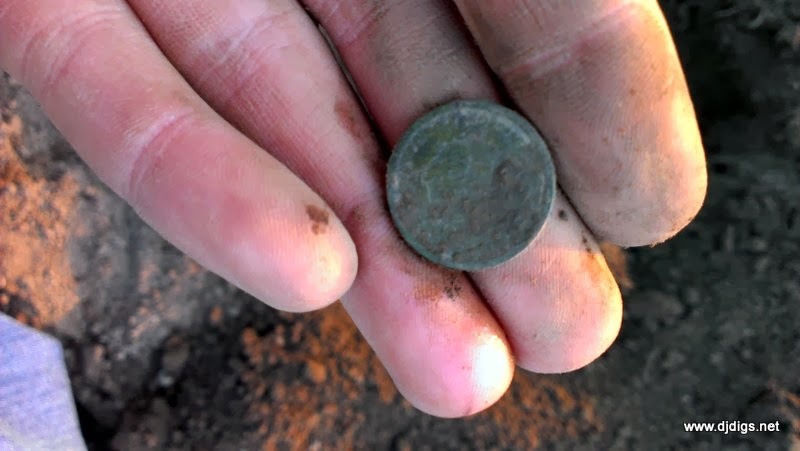 And, as fate would have it, the next target in was a quarter! 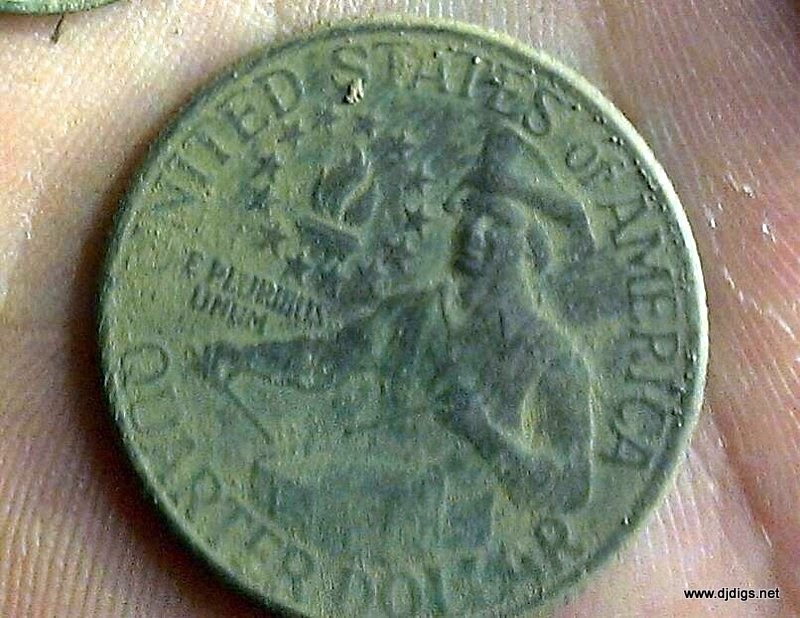 A bicentennial 1976 drummer boy quarter. I took my headphones off and looked up and yelled, "Hey! I found your quarter." He laughed - and told me to keep it. 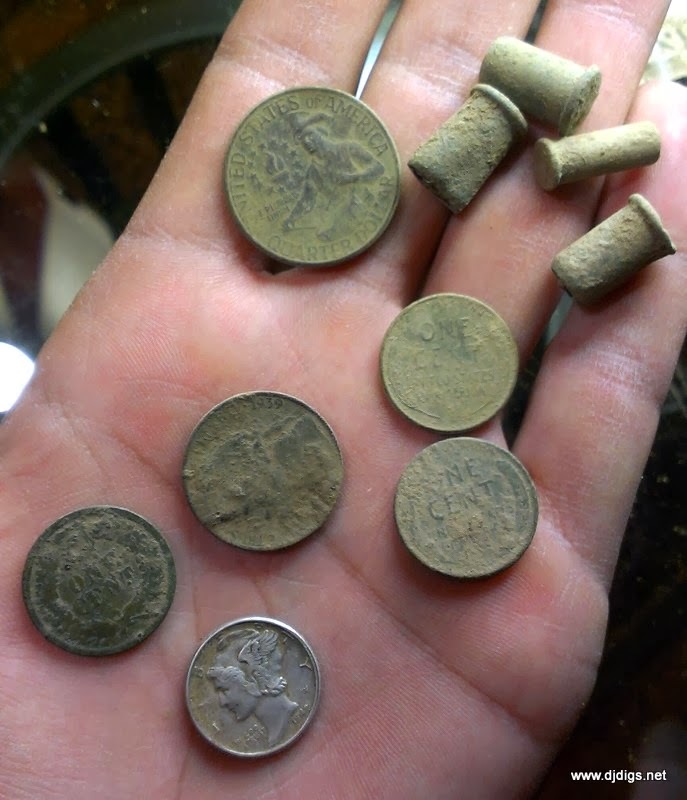 With only a limited amount of daylight remaining, I finished up with a 1939 Jefferson nickel, a few wheat pennies, and some bullet casings. Even as I was putting my gear away, I was anxious to return again tomorrow.